The Board of Selectmen discussing the proposal to join Sustainable Ct. Taken Nov. 26. DARIEN — The town has become one of the latest to join Sustainable CT, a statewide initiative to help municipalities promote the health and well-being of their residents. The Board of Selectmen unanimously voted to join Sustainable CT at its meeting on Nov. 26. The voluntary certification program assists towns in adopting more sustainable practices within the environment, housing, infrastructure, local culture and more, according to the organization’s website. “The primary purpose for us appearing before you tonight is to take on the charge of functioning as the town’s sustainability team,” said Craig Flaherty, chairman of the Energy and Recycling Commission. Neighboring municipalities such as Stamford, Greenwich and Norwalk have already joined the program. “The vision of Sustainable CT is their communities strive to be thriving, resilient, collaborative and forward looking,” Flaherty said. The program’s goal is also to promote the health of current and future residents, as well as respect the finite capacity of the natural environment. The program would provide resources and tools to Darien to continually become more sustainable. “It seemed very much aligned with a lot of the work that we’ve done already with recycling and improving resource management at the recycling center,” Flaherty said. Joining the program will require cross collaboration with other town entities and local volunteer organizations, he said. 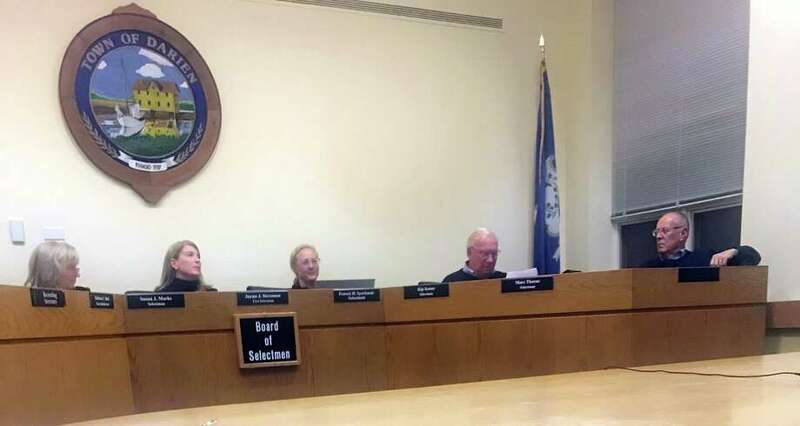 First Selectman Jayme Stevenson said having the recognition as a sustainable community was a selling point for the town, and could encourage businesses to plant roots and families to move in. Stevenson also said she loved that Sustainable CT is not limited in scope. “It’s really sustainability in all forms. Economic sustainability and health sustainability, which is vital to our municipality,” she said. Kathy Finnegan, a Darien resident, said Sustainable CT offers webinars, seminars as well as opportunities for grants. Those that join the program will get resources delivered back to their community in a number of ways, she said. “Hopefully we can find interested members of the community or town staff that could learn from some of the resources that will be made available through Sustainable CT,” Finnegan said. Flaherty said joining the initative could add to the reasons people choose Darien.